Siam Niramit Show Bangkok is one of the best fun things to do in Thailand. If you are interested in exploring the culture and history of Thailand, then this show is for you. Siam Niramit Show is also one of the best things to do in Bangkok with kids. The show is organized daily and it attracts thousands of locals and foreign visitors. The show exhibits the spectacular display of Thai culture and history with more than 100 performers who act and dance in their colorful costumes. The show runs for around 80 minutes and it is divided into three parts. The first part is an act of the king and queen worshipping Buddha. The second part of the show introduces the audience to different Thai creatures by representing heaven and hell. The third and final part of the show is about celebrating different Thai festivals. The ticket to the show costs about USD 37. It is recommended to book your tickets to Siam Niramit Show in Bangkok in advance as they are usually sold out, especially during the peak season. So what are you waiting for? Plan your trip to Bangkok and enjoy this spectacular show that brings Thai culture, traditional dances and many other imaginative acts together. Vietnam is home to many breathtaking attractions and activities for the family. One of the most popular activities to enjoy in Vietnam with kids is the Ba Na Hills cable car tour in Danang. The cable car holds many Guinness World Records, including being the longest and heaviest cable in the world. The cable cars are built with special Australian technology, which means you can ride in them without any fear of accident. 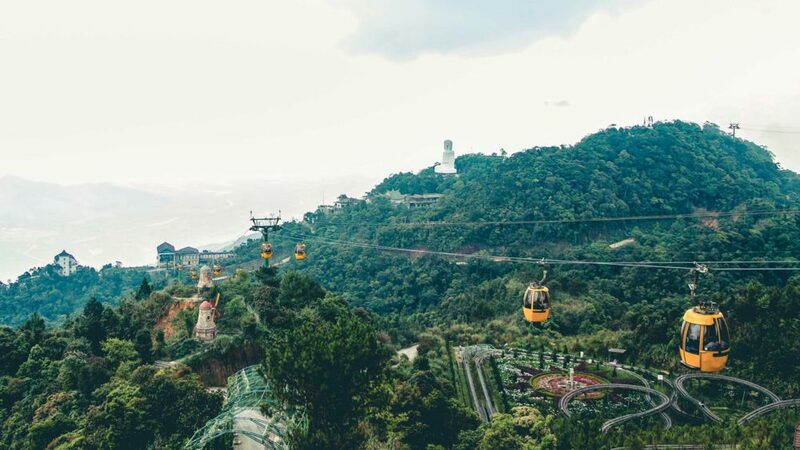 Take a ride on the Ba Na Hills cable car and enjoy the stunning views from above. Once you reach the top, you can explore the areas in your surroundings including the beautiful French Village. Don’t forget to eat at one of many popular Ba Na Hills restaurants. The cost of the cable car is approximately USD 52 for one person. It’s definitely one of the best activities to do in Vietnam. Have you ever imagined enjoying a safari at night? Singapore gives you that amazing opportunity. If you and your family are interested in some exotic wildlife, then this safari trip is a must-do activity. 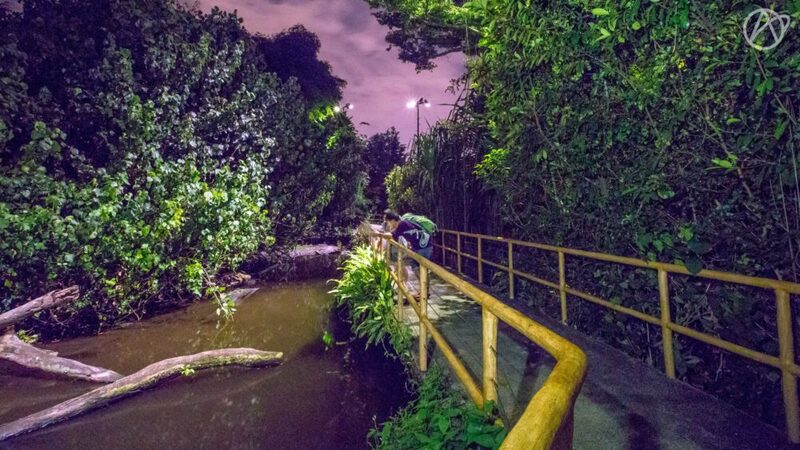 The Singapore Zoo Night Safari has constantly been a winner of the Best Attraction award by the Singapore Tourism Board. Once you enter the safari on the tram, you’ll get to see the exotic animals which you would not witness normally. This is the world’s first safari park for seeing nocturnal animals (those who sleep during the day and come out when the sun goes down). You’ll not only spot the nocturnal animals but also the day-roaming animals. The 40-minute tram ride gives you an amazing opportunity to witness hundreds of animals including Malaysian tigers, Asian elephants, red dholes, markhors and bantengs. The entrance fee, which includes tram rides through the safari, costs around USD 54 for one person. The Singapore Zoo Night Safari is one of the best things to do with kids when you are in Singapore. There is no shortage of things to do in Phuket with kids. One of the most popular activities is the Phuket Fantasea Show which is attended by millions of people every year. The design of the show takes inspiration from a Las Vegas theme style with many acts and performances for visitors. The show runs for approximately 70 minutes and features the magnificent “Fantasy of a Kingdom” show followed by illusions, lasers, acrobatics and special effects. In addition to this spectacular show, visitors also enjoy dinner while floating on the 4000-seat beautiful Golden Kinnaree Buffet Restaurant. Watch the iconic show and enjoy the colorful culture of Thailand followed by a scrumptious dinner at the restaurant. Both activities are bound to make your experience memorable. 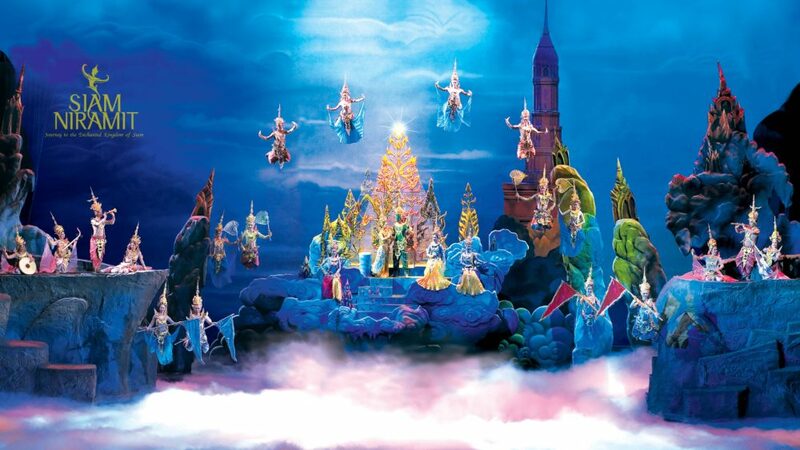 The cost for both the Phuket Fantasea Show ticket and dinner is approximately USD 68. It’s definitely a must-have experience when you are in Thailand with your family. Vietnam never fails to surprise its visitors when it comes to things to do in Ho Chi Minh City. 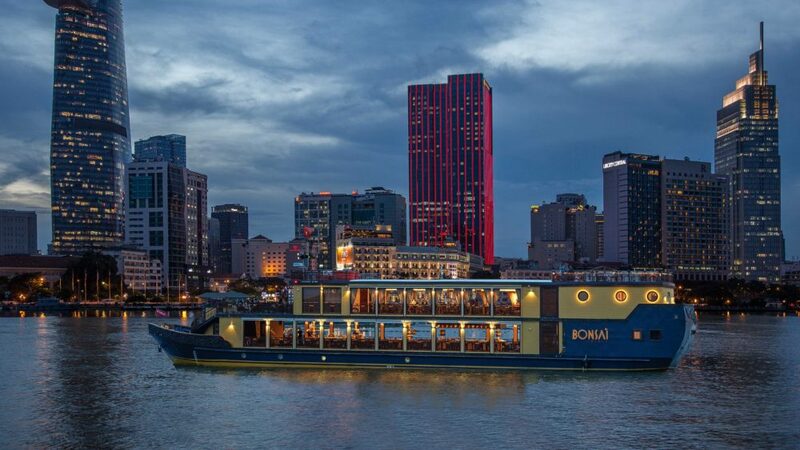 If you and your family are cruise ship lovers, then book the Bonsai Cruise in Ho Chi Minh City. It is one of the most popular family-friendly cruises in Vietnam. The two-hour cruise tour takes you along the Saigon River where you can witness the surreal views while eating the scrumptious Vietnamese food. The cruise starts in the evening and ends with a beautiful view of sunset over the river. The large cruise ship offers a luxurious and lifetime experience for its visitors. The dinner features the finest food experience like no other. The Bonsai cruise has an open kitchen facility which means that visitors can watch the chefs making creative food items. Visit Vietnam and enjoy great food in a spectacular setting with your loved ones. The cost per person is roughly USD 39 which includes the cruise and dinner on the Saigon River. There is much more in South Korea for kids than the hustle and bustle of Seoul city. For instance, there are a number of stunning attractions in the countryside and one of them is Nami Island and another is Petit France village. For a perfect family outing, Nami Island is a surreal destination to visit if you are in South Korea. Famous for its rows of maple and pine trees, Nami Island is a dream place for all nature and Korean drama lovers. A lot of Korean dramas were filmed on this island and today, many tourists explore those places and take pictures. You can also eat from a variety of restaurants located on Nami Island before heading off to Petit France Village. Once you enter the village, you feel a vintage experience with dolls, puppets and antique furniture on display which your kids are definitely going to love. Colorful buildings in the Petit France Village also make a great background for photos. While walking around the village, you’ll also witness various street performances. Buy your ticket for around USD 33 and enjoy a day trip to Nami Island and Petite France Village. Last but not the least on our list is the Cyclo Phnom Penh Tour in Cambodia. Yes, it’s absolutely true. 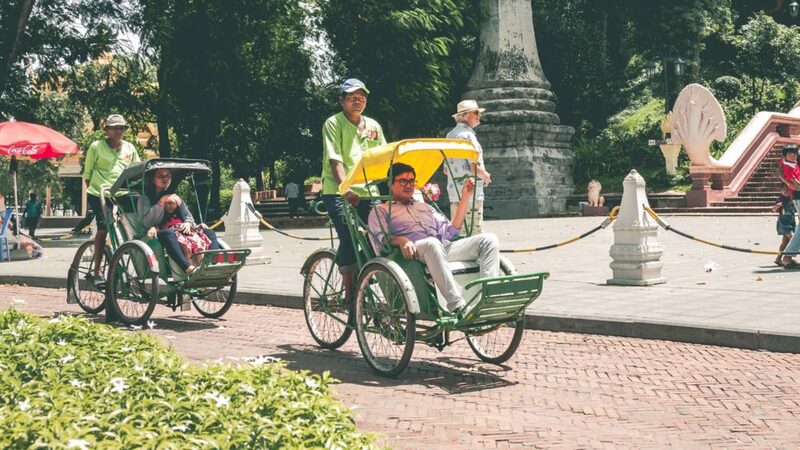 You can now explore Phnom Penh city in your cyclo. Isn’t that amazing? This four-hour thrilling journey takes you around the beautiful town and lets you witness its major attractions. The cyclo picks you from a specific spot and takes you on a beautiful journey which you’ll not find anywhere else. The ride lets you visit many famous attractions including archaeological, cultural and historical landmarks. Some of the attractions are the Phnom Penh National Museum of Cambodia, the Phnom Penh Central Market and Wat Phnom Temple. Along with these popular places, you get to eat scrumptious food on the way. Make sure to buy some souvenirs to take back home from the Central Market. The cost of this tour is only USD 35 per person and it’s worth the investment. Believe me, you are going to have the experience of a lifetime with your kids which you’ll ways remember. From bustling cities to breathtaking islands to rich history and culture, Asia offers a perfect vacation for your family. There are thousands of activities to choose from which you can enjoy with your kids when you are in Asia. Make sure to plan in advance about the country you want to visit and the list of family-friendly activities to do there. Enjoy your lifetime tour with your kids to this diverse and most beautiful continent of the world! Happy traveling! There is a lot of fun for the families in Asia especially i like Singapore.